Why do we call a whirlpool bath a "Jacuzzi"? For decades, the name “Jacuzzi” has been synonymous with any contained body of water which includes water jets to aid relaxation. This can range from large, spa pools which you might find in a leisure centre or health club, to private whirlpool baths for domestic properties. But why do we use this catch-all term to describe them and how did it catch on in the first place? In this blog post, we'll be finding out. Who were the Jacuzzi Brothers? The Jacuzzi story begins way back in 1915, but in a rather more unusual industry than you’d expect. During World War I, the seven Jacuzzi brothers, Italian immigrants of Berkeley, California, led by Giocondo Jacuzzi, founded a company making wooden propellers for new-fangled military aeroplanes. By the 1950s, the company was looking to diversify into other areas and spotted an opportunity in the healthcare market. By adding a pump to a bath, they were able to help treat arthritis, and the J-300 pump was sold to hospitals and schools. With the burgeoning interest in health and leisure across the United States, yet another opportunity was spotted in the 1960s, by Roy Jacuzzi, who invented and marketed the first self-contained, fully-integrated whirlpool bath, creating a whole new industry almost on his own. This technology was enhanced in the 1970s, with a fully heated version, which created the world’s first “hot tub”, designed for both indoors and outdoors use. The name “Jacuzzi” was trademarked by the company on 5th September 1978, thus making its use exclusive to the Jacuzzi company. These days, Jacuzzi employs nearly 5,000 people worldwide and has become the name we most associate with whirlpool baths. How did the term “Jacuzzi” become so popular? If you think about it, there are many, many types of product in everyday life, which often go by the most prominent brand name, rather than the more generic categorisation. One of the most common brand names we use in everyday speech is “Hoover”, meaning a vacuum cleaner, although, arguably, the term “Dyson” is now gaining traction. These days we tend to “Google” things, rather than search for them online, or we might put a “PowerPoint” presentation together for a university or work assignment. We listen out for things on the “Tannoy”, even though this is just a brand name in the world of public address systems. If you have a cold, you might be heard to say: “Please pass me a Kleenex.”, rather than a tissue. Even the “Breathalyser” that police use to catch drunk drivers is a brand name, and, should the felon get aggressive, the officer may even be forced to use a “Taser”, which, again, is a brand name. Looking to package something? Both “Bubble Wrap” and “Styrofoam” are brand names. Rollerblade, Jet Ski, Onesie… they’re all brand names owned by a specific company. So, without even realising it, calling products by the most prominent brand name isn’t as uncommon as you might think. What are the health benefits of a Jacuzzi bath? You can find more in-depth information on the benefits of whirlpool baths and discover whether a whirlpool bath is the right choice for you. 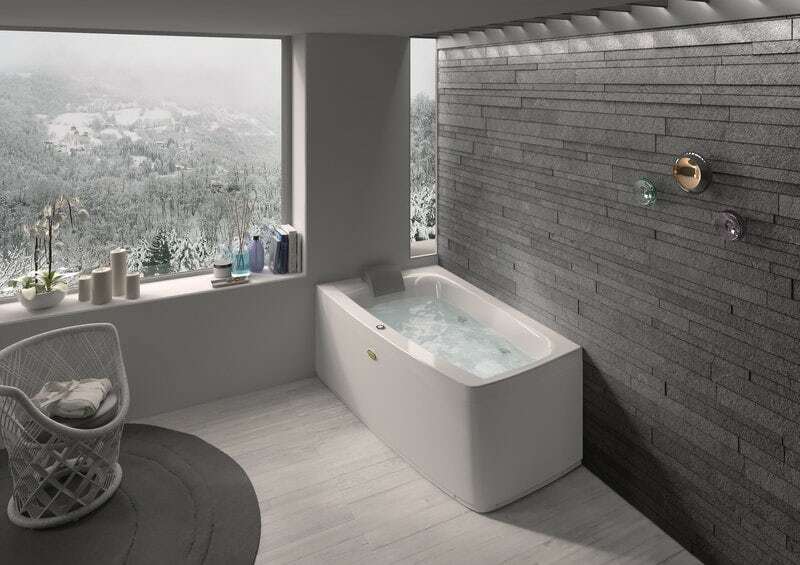 At VictoriaPlum.com, we’re proud to work with the leading name in whirlpool baths to stock a great selection of Jacuzzi baths to suit bathrooms big and small. Take a look at our fabulous selection today. For the ultimate in relaxation, a whirlpool bath is absolutely ideal for easing muscle tension & improving blood circulation, and now it's even easier to upgrade than ever. 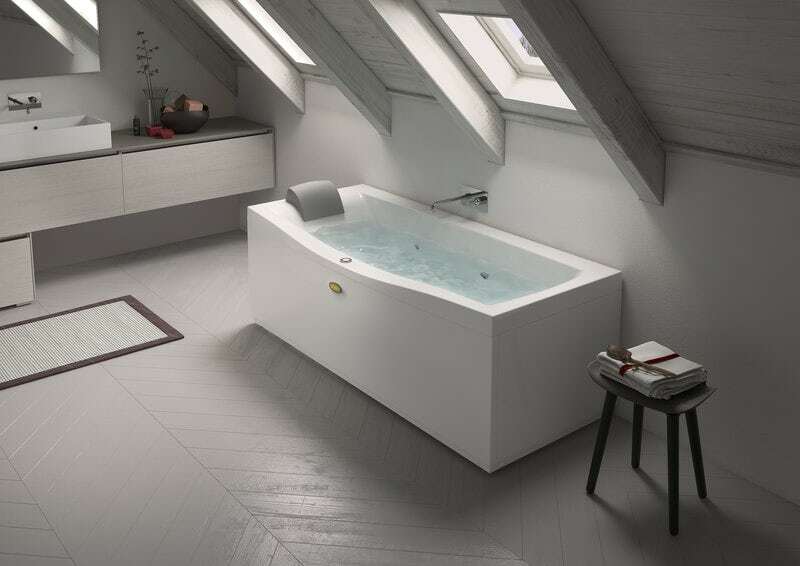 This handy guide will give you a brief introduction to the luxurious world of whirlpool baths, and the range available at VictoriaPlum.com.